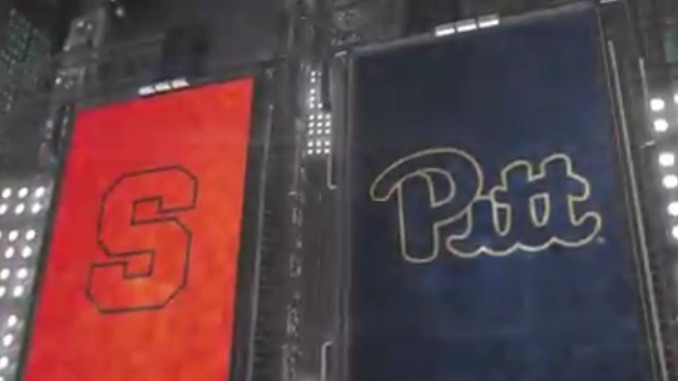 Syracuse vs. Pittsburgh: The Orange went on the road and got the 65-56 win over the Panthers. Syracuse held Pittsburgh to just 31.6% shooting in the game and forced 11 turnovers. On offense for Cuse, Oshae Brissett scored 18 points to go with his 12 rebounds. Frank Howard added 15 points for Syracuse and had three of the Orange’s seven made 3-pointers. Freshman Xavier Johnson scored 14 points, grabbed 5 rebounds, and had 6 assists for Pitt.